This colt is the real deal! Color, size, pedigree and loads of natural ability! This colt will be steel gray and mature to be 15-15.1 hands. 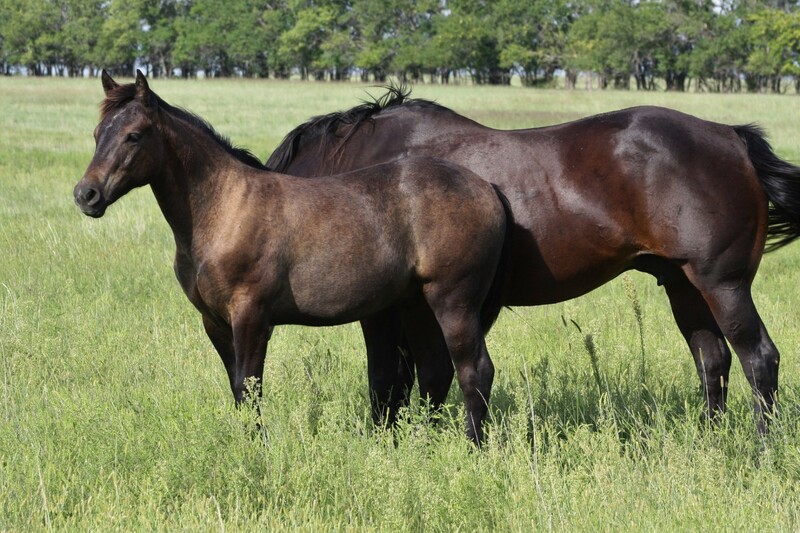 If you are looking for a ranch gelding, rope horse, barrel horse or your next all-around-favorite horse to ride (and make all your friends jealous), then this colt will help you reach those goals! His dam is a finished rope and barrel horse and his sire, a son of REAL GUN, is a multiple World Show qualifier in Ranch Riding and Working Cowhorse. Real Gun is the 2004 AQHA World Show Superhorse. This colt’s full sibling, KG Don Julio, was easy to start and was an exceptional mover - definitely a ranch horse versatility and ranch riding prospect! No doubt this colt will be just as pretty and have the same athletic ability and beautiful movement! He has had his first round of vaccinations and will be weaned and given a booster the first of October. Will be ready to go by mid-October. He has been ranch raised with no injuries/cuts/blemishes. Currently running on 80 acres with his dam who is 22 years old and obviously in great condition (longevity genetics)! We are cutting down on our numbers so this colt is priced to sell and he is definitely one you should take a look at!